The Killer Kitty Parties Are Not Set to Die Soon! 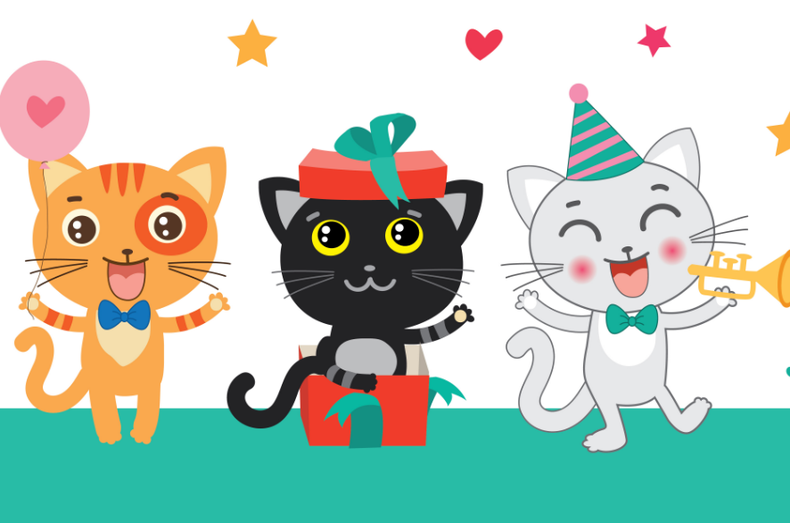 Kitty party, as a term, has become something so colloquial and so commonplace that even the smaller towns and hubs across India have adapted to the concept pretty well. What was earlier a kind of gathering reminiscent of the concept of high tea in Western nations, has now taken India by storm over the past decades. Over the years, the trends and styles have evolved, but kitty parties have come to signify a part of social life for very many women. Ideally described as a chit fund, kitties were meant to be seen as a way of feminine independence and empowerment at one point. In the 70s and 80s, almost every family began having one female member who was known as the kitty party lady. The characteristics of one boiled down to being prim, pouty (almost) and perfect in organizing parties with (more) gossip and food. The theme culture didn't pervade parties at the initial point and the ladies were mostly seen in crisp chiffon sarees, crepe suits and often arranged potluck kitties. Over the years, the venues moved away from the perimeter of personal dining rooms to rented halls and then (at the present), restaurants. Interestingly, way before the party culture become popular, the inclination towards such gatherings was gaining force even in villages of Punjab. Every village had a tandoor oven placed at a nook that saw daily gatherings of women for gossip against hubbies or MILs while the rotis flared to puffy perfection. No wonder North Indian ladies still have a name for organizing fiery kitties till date. As a culture, Indians have always indulged in fun frivolity over the ages. The kitty culture gave this propensity a proper channel. Yes, the creative aspects of kitty parties too, are empowering. Women indulge in Housie and Poker without a care to the world. This indeed comes across as refreshing. Kitties have a chit fund attached too that give every member an equal privilege. It is often seen that it is tough to mimic the friendship that ladies have within their circles. If you look at kitty parties around the country or the world in general, this comes true. Some years back, there has been a certain decline in the level of kitty party circle formations because societies are gradually decreasing in size as well as families are splitting up. However, the best way to get introduced to a kitty is via internal invitations and relations. It is to be noted that despite all the changes in the thought process behind kitty parties, it is in the way, a celebration of the basic nature of a communal bond. It is considered liberating because it gives females access to funds even when they are not working per se. Additionally, it also gives an inner circle to connect and discuss issues that a woman might not find comfort in discussing with family. Positively seen, this is a precursor of being independent feminists with an independent mind. What is not positive is that these parties have faced a lot of flak for promoting a culture of baseless loose talk. This is a skewed viewpoint that does not find justification when you go deep into it. Technically a kitty party actually allows women of like minds or even different minds to come together, share thoughts opinions and discuss the things that might matter for them even if they do not hold much importance on a large scale! Of course what goes on inside in a circle is nobody’s concerned, but the fact that kitty party themes have become popular enough to be talked about justifies the reason kitty parties are still a hit. From old school Bollywood movie themes to modern day themes, there are so many different areas that kitty party goers explore that it is almost interesting to see such amalgamation happening over varied cultures. An interesting fact about kitty parties is that it is not divided. This is because the nature of societies and localities are such that there are different layers of cultures that permeates the social fabric and a kitty party sees a lot of intermingling among so many different sects. The image around the stereotypical kitty party aunty has also evolved and is changing over the years because women are fast climbing social ladders as much as they are learning to liberate themselves over such gatherings. Kitty parties have gone to get ingrained in the dimensional Indian thinking to the point that there specific recipes in cookbooks, ideas, settings and games designed for this purpose. The Italian game of Tambola has become a huge favourite over the years across kitty parties of masses as well as classes. Besides this, kitty party women get a lot of food to literally talk over. Taken positively, these parties allow women who have shifted to new places, to engage with local people and connect to their neighbourhood almost on an immediate note. Such parties are the best ice-breakers when they exist. The latest addition to kitty parties is the kitty party-going husband. While the idea might seem overreaching and far fetched at a point, this does exist for real and the best of cities have the most awesome networks of husbands (who turned into good friends) around kitty parties. The basic idea of a kitty being a chit fund still exists, but the money pool has only gotten bigger and people have even got together to set up entrepreneurial networks in the light of these. Therefore, the kitty party has not just given wings to women but has given wings to a lot of other ventures, eventually, as well. The idea of the modern day kitty party is to maintain the feeling of community. Interestingly kitty parties do not see the discussion over mothers-in-law anymore instead these have moved on to discussing bigger and better things in life such as vacations, traits, and aspirations, the participating women have of their own. Well, a Kitty means Business for Some! Kitty parties have largely contributed to the business of restaurants and private cafes as well. These hubs have begun to serve customised menus offerings and a lot of other services that are being offered to kitty party circles, of late. The concept of someone hosting a warm party on the balcony of her home has almost vanished to the corner and given way too much larger gatherings of even 50 people in plush high-end venues. Finally, it can be best said that when you Google the term kitty party in India, you get access to a lot of pages that show a lot of venues, exhibitors, organizers and planners for these parties. So while a lot of people thought that this concept would be dying a sad death, the concept has actually revived over the latest years and modified itself into a glamorous part of some lives. While a lot of people will be remembering the 2002 series on Zee TV, Kitty Party, mention must be made of an upcoming Punjabi movie by Nav Bajwa that is pretty much set to be the talk of the town. The flick is set to highlight kitty party stereotypes and economic manner. It is left to be seen how well the director portrays the same but it is a given that kitty parties are no longer something relegated to the bottom level of social gatherings. These have become classy and pretty appealing while evolving over time in various shapes.